As discussed somewhere else (and you can look there) the apparent only 2 qualified bidders are Novabus and New Flyer, and personally I don't care which is the low bidder. To answer your question... in all honesty, I think New Flyer and NOVA Bus have the best chance at getting this contract, as both make 40' and 60' buses both in clean diesel and in diesel-electric hybrid versions. Both are good manufacturers with good products, so either would be a great addition to the CTA fleet. I was trying to locate the topic, but have been unable to do so. I was quite sure this had been discussed, but I wasn't sure where the thread actually was. Thanks. We have a ton of new buses from all manufactures here except Gillig and NABI. Millennium Transit Services is also entering NYC's new bus program with 2 new RTS models. 90 one door suburban high floors, and a 90 local transit low floors. Both buses are 42.5 footers. 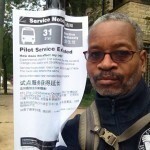 Yeah I agree too, although I wouldnt mind seeing new nova buses considering cta has over 1200 new flyersin total lol. It would be nice to see something different and what better way to get new Novas to replace the old ones. But if cta choose new flyer at least we'll get the newer models so it won't be the exact same buses rolling through the city lol. Hopefully another company will be interested in qualifying with CTA. Now that Orion is out of the business, the entire playing field has shifted. Welcome to the Network, Dante! End of "More New Flyers" thread. You could have also used the internal search function or Googled that. On the suburban, one is essentially talking about a 1990 SMART (Detroit suburbs) bus. New York might be more tolerant of "teething" a manufacturer, but based on getting stung on buying a "first time" NABI product (which turned out to be the "only time"), the requirement that the manufacturers provide references, and Millennium having punted the NJ Transit contract, I don't think so. And, of course, they don't have an articulated, low floor, maybe hybrid bus. BTW, does MTA actually have a contract with Millennium, or was this just two existing demonstrator buses with a blue stripe decal added? The MTS site doesn't announce anything new, and the forum indicates no. And less relevant: At least a poster doesn't have to worry about any more "rolling Trash cans 07." I agree, Honestly, I hoping for NOVA wins! Nuff Said. Hopefully they can get some more Xcelsiors in this 40/60 bid, if New Flyer wins. (They probably will win.) Then they could have 3 different looking buses from NF in abundance. The Seattle 100,the XE Xcelsior, and the current model. The only thing I don't like about the Xcelsior is if you look at the interior one of the stairs to the back of the bus is cut on an angle. I don't know if that would be a hazard or not. The issue, which seems to have motivated both CTA and Pace purchasing, is that neither is willing to pay for looks. As Kevin pointed out, the rfp for the 100 articulateds out of the 425 buses indicates that some options will be considered, including more stylish end caps and 3 doors. But, given that supposedly Xcelsoirs have had a hard time getting off the ground in the US because they are supposedly more expensive, I doubt that CTA would pay a huge premium for them. While CTA may order some LFAs or or Nova LFXs, I'm not putting big money on that either. But, we'll have to see what they announce after they open the bids. Those Xcelsiors are good looking buses. Too bad they're likely too expensive if New Flyer were to win the next bid. And also too bad at Orion reported being out of business because those hybrids pictured look like decent buses. And I also like the look of those NOVA artics shown in that group of pictures. Im almost certain cta will most likely go with new flyer and order the restyled versions for both 40and 60fters. Cta is not known for doing anything too drastic when it comes to ordering buses I believe they're going to stick with new flyer like pace did with Orion. Like I said before if it ain't broke don't fix it. The xcelsior are some nice looking buses but like you guys said they may be too expensive for cta taste and budget for that matter lol. I'm very curious as to how long ago New Flyer began manufacturing the XD60s and XN60s. I know they didn't begin manufacturing XDE60s until earlier this year. Meaning that Pace would most likely stick to between NABI, Eldorado or maybe start with Gillig from now on. If Pace does go w/Gillig, I'd find it very interesting if they went with those Gillig buses that look almost like the Novas. Again, no for several reasons already discussed. If you are talking 40 foot diesels, Pace is tied in with ElDorado for the next five years. Even if they decided not to exercise the options, the Minnesota people indicate that Gillig is more expensive. With regard to CNGs, NABI has already twice done a sales job for 45Cs. Gillig still makes the flat face bus, and RGRTA says that the BRT costs more. Right now its Eldorado for the foreseeable future. Besides I think Gillig is also.expensive. The MTA contract is only pending completion of the shaker table test at this time. Once that is complete, MTA will then purchase the test buses. The first bus will be a MTA spec demo/pilot. After initial acceptance testing is complete, the bus will then become #1 of the order. MTA will begin revenue testing an XD60 next week. This bus is a demo as well, but if it passes the initial tests it will become the pilot. The NJT contract was canceled because of funding issues. MTS is actually working on a deal with NJT for new buses, and is able to still use them as a reference. All those NJT buses that were built went to other operators, and to date have out-performed any other 6 year old midlife RTS manufactured to date. Word on the street is that because the new Team Millennium is made up of ex GM, TMC, and Nova RTS guys CTA is willing to accept their bid as they are techinically by workforce the same people who bid the RTS 08. The guy who handles contracts at MTS is the same one who worked with CTA on the 08. On top of that fact that the buses they built for NJT ate the best RTS's ever made according to maintenance recors, and all the agencies who purchased them. The low floor is nothing more than a low floor version of the proven RTS modular platform with a new face. The RTS 08 was created for CTA, who actually had major input on the overal final design. This is going to be very interesting! Let me remind everyone that this contract could go to all bidders, only one bidder, or two bidders. Xcelsiors reall arent that expensive. I got ahold of most all their contract prices, and they are basically on par with the LFR's, and the last of the LF's which are currently being delivered to New York by the dozens. The 40 footer passed Altoona in 2008, but had lots of teething problems. They are just now being looked at by the big guys. The artics just began customer production this year. The first of the models was the XN60 which debuted at APTA this past October. From how others have been understanding the RFP, they are specifically asking for the manufacture and delivery of both 40 foot buses and articulateds together not separately. Minimum 300 to a max of 450 for the 40 footers and minumum 50 to a maximum of 150 for the articulated buses. So from that understanding they're seeking manufacturers who have a proven record in both bus model sizes. Would the CTA consider the high floor RTS legend or just the low floor extreme? & why would CTA consider purchasing high-floor buses again? Last I checked, we've moved away from that era. CTA has not purchased anymore high-floor buses since 1995.